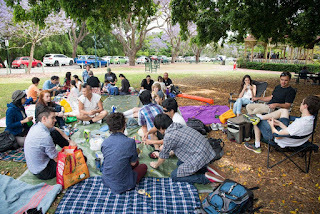 On a warm Sunday morning of October, JETAA Qld members and family gathered under the hundreds of jacaranda trees in New Farm Park for our annual hanami event. 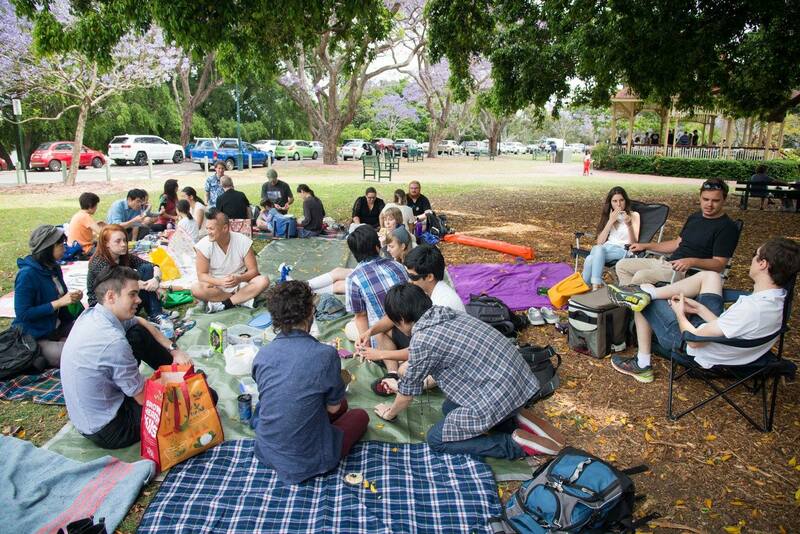 We were joined by Griffith University's Japan Club, who brought along a number of their enthusiastic members. 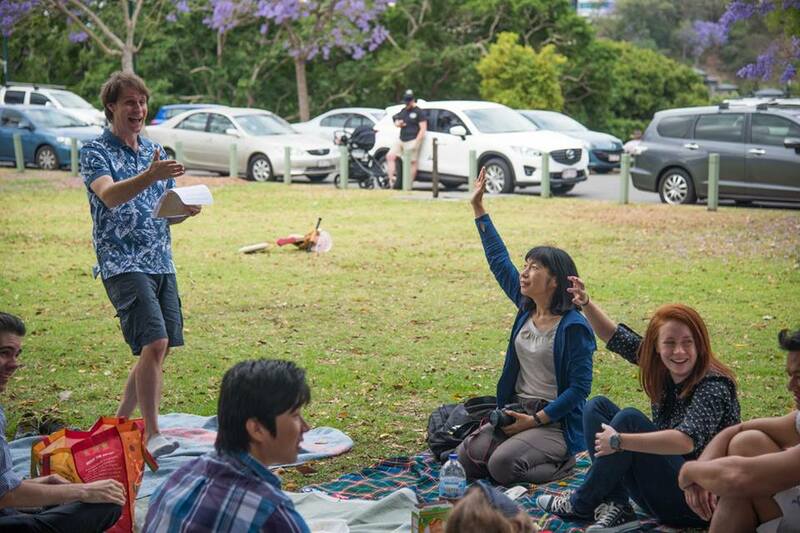 Everyone brought delicious homemade food to share while we admire the beautiful purple jacarandas in their full bloom. 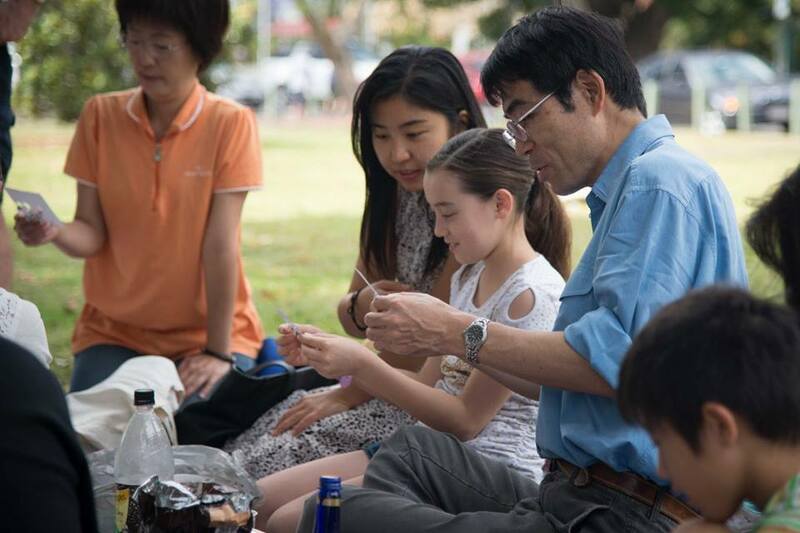 To celebrate the 10th anniversary between Brisbane and Kobe City of Japan, attendees were quizzed with fun questions about Kobe. Afterwards, everyone joined in a game of bingo, with lucky winners taking away prizes. An afternoon as such certainly brings back fond memories of hanami under cherry blossoms in Japan.